Ning Chao is a beauty, health and fitness expert who has worked as an editor at Marie Claire, InStyle, Elle, Vogue, and Glamour. She has traveled the world in search of the latest and greatest beauty breakthroughs, from fish pedicures in Japan to lavender picking in Bulgaria. 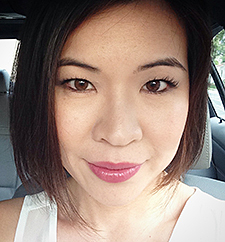 Ning currently lives in Los Angeles, where she writes for her blog, The NC Times.